Checking in for a moment while researching and experimenting in the lab with the new Kinect v2. There is now a great library for the Mac OSX that leverages the full features of the Kinect v2 inside of the Processing IDE. Pair that with the great ASUS B1M and you have a nice and compact combo for augmented reality projects. These pictures show what kind of field of view one can attain using the two in concert. 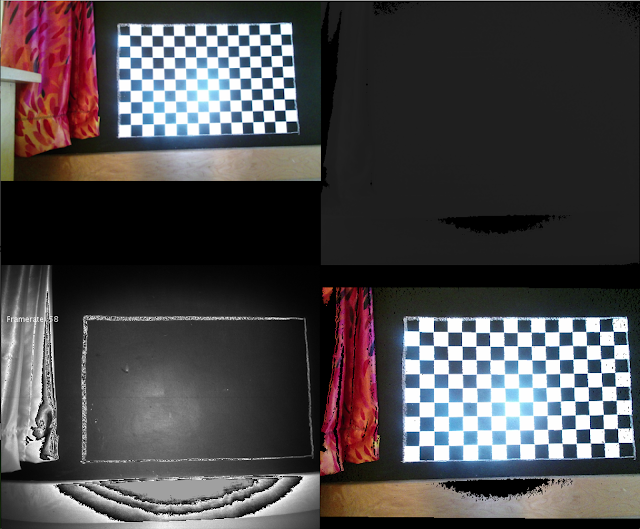 Smeenk.com created a truly excellent Field of View (FOV) viewer for the Kinect v2 AND the Kinect v1. Look for some more action in our augmented reality terrarium, "The Sandbox of Life" this summer!